composers of his time. Nearly a century later, Disney will make his 1871 Aida a Broadway hit! Walt Disney Pictures releases Roving Mars exclusively in IMAX theaters. of "Spirit" and "Opportunity", two rovers exploring the red planet. boxing tournament that pits him against the toughest fighters in the Navy. (a follow-up to the Disney movie The Emperor's New Groove) debuts. of the nation's leading retail outlets. who at the age of 11 served in the Union Army! CBS-TV airs the Disney special The Best of Country, hosted by Clint Black. Kevin Pollak, Barbara Garrick, and Carla Gugino. Distributed by Disney's Buena Vista Pictures, the film tells the story of engaged Gwyn Marcus (Sarah Jessica Parker) who is afraid of commitment. new sports department and the Indy Racing League. Driver Buzz Calkins wins the event in 1:33:30.748.
experience an obstacle course of fake lakes, bushes, and bridges in the Green Army Men room, and play Disney’s new Toy Story video game. The Funhouse also includes the live stage presentation Hamm's All-Doll Revue. to perform at the House of Mouse! The Broadway musical Beauty and the Beast plays performance number 4,000. Disney releases the DVD Alice in Wonderland (Masterpiece Edtion). by such artists as Raven, Jump 5, Jesse McCartney, and Hilary Duff. receive nominations as does actor Johnny Depp for his role in Disney's live-action Pirates of the Caribbean. the re-election of 4 key Disney directors (including CEO Michael Eisner). Walt Disney Records reissues the soundtrack to the animated feature Bambi - exactly 55 years after it was originally recorded. 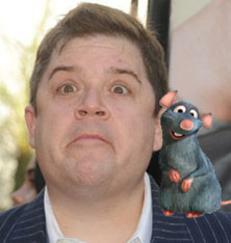 Disney/Pixar's 2007 Ratatouille - is born in Portsmouth, Virginia. for Professor Dementor for episodes of Disney Channel's Kim Possible. The very first Marc Davis Lecture takes place in the Samuel Goldwyn Theater at the Academy of Motion Picture Arts and Sciences with Davis himself, one of Disney's "Nine Old Men," as the inaugural participant in this lecture named in his honor. The Marc Davis Lecture has been established to provide a forum for film animators and other experts to share their experiences as well as to explore with colleagues the challenges of creating animation. football quarterback Warren Moon, and 2,000 local children. The New York Giants beat the Buffalo Bills, 20-19. Miley Cyrus (star of Disney Channel's Hanna Montana) visits Disney World with family & friends to celebrate the end of her record-breaking U.S. concert tour. The Touchstone Pictures comedy feature Three Fugitives is released. Nick Nolte plays Lucas, a recently released state prisoner, who innocently gets mixed up with Ned Perry, played by Martin Short, an incompetent novice bank robber who is also a single father of a shy but sweet little girl. Theatre in Hollywood. The romantic comedy stars Kristen Bell and Josh Duhamel. the ball in " Won't Somebody Dance with Me?" Also shown are clips from Disney's Sword in the Stone. changes from the design of a 90s era, globe-shaped building to a turn-of-the-20th-century observatory. Nominations for the 18th Academy Awards are announced. Winners will be announced March 7.